Viqua Games is a game development studio based in Bangkok Thailand. Our approach is to develop quality games with an emphasis on quality rather than quantity. 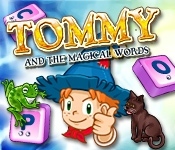 Viqua Games is a trademark and owned by ViquaSoft Co., Ltd.
Viqua Games has been developing games since 2005 when we released our first game Tommy and the Magical Words which went on to receive critical acclaim and multiple awards including nomination for Innovation in Visual Arts in the 2006 Independent Games Festival. We then worked with PlayFirst to develop Doggie Dash, a game in the Diner Dash universe where players take care of customers' pets in a pet spa. 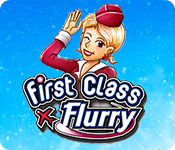 In 2008 we released First Class Flurry, a downloadable Time Management game that became an instant success and reached Top 10 Downloads on many casual game download sites. We then worked with Big Fish Games to design and develop Shop-n-Spree and its 2 sequels. We also began developing mobile games such as UltraDeep and Zombie Escape. Both games reached Top 50 Downloads in the US App Store. In 2015 we released First Class Flurry HD, an improved version of First Class Flurry for mobile which went on to reach Top 100 downloads positions in the App Stores of many countries and has 4+ stars ratings. Currently in 2019, we are working on our next big mobile game release which fans of First Class Flurry should love. So follow us on Facebook or subscribe to our newsletter so you don't miss when it comes out. Just visit our customer support portal or contact us at our contact page. If you like the idea of developing games from your home while getting paid for it, then take a look at our jobs page!